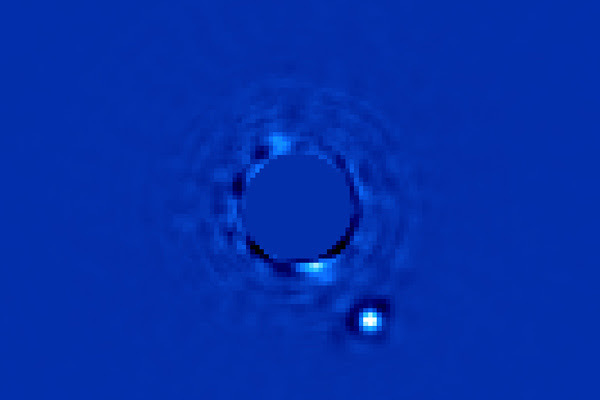 Beta Pictoris (β Pic, β Pictoris) is the second brightest star in the constellation Pictor. It is located 63.4 light years from our solar system. The hunt for planets in faraway solar systems has taken another step forward with the debut of a new planet-detecting instrument led by a Stanford physicist. This science is getting better. Unfortunately, the GPI won’t be able to spot Earth-like planets; they’re too small, and thus won’t reflect enough light to be detected. White House Denies Existence of Aliens – But Do They Exist?